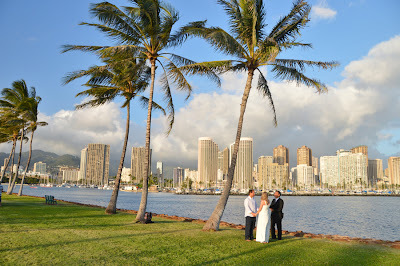 Magic Island is located in Ala Moana Beach Park, just a mile from Waikiki. on the left and the sunset on the right. See HAWAII PRINCE and ILIKAI hotels in the background.